Summer is breezing by in New England and it’s a mad scramble to get it all in by mid-September. For the past couple of weeks I’ve been traversing from Maine to Cape Cod in search of inspiration and enjoyment. While visiting friends in East Boothbay Maine for a traditional Down East Lobster Bake with all the fixings I was able to enjoy some of the local sites. A visit with Corinne McIntyre, a local artist, at her studio and gallery, I got a good education in how to forge a sustainable career in the arts which is entirely different than my own. If you’re ever in the the area it’s definitely worth stopping at the Ocean Point Studio to peruse her artwork and visit with Corinne. 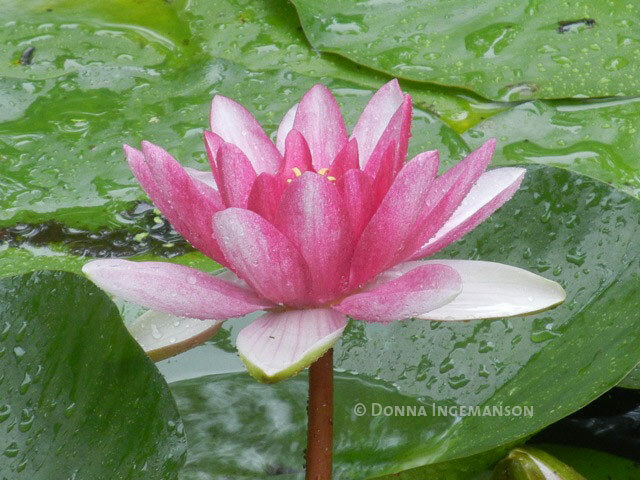 Water lily at Coastal Maine Botanical Gardens. While traversing in the Boothbay area the Coastal Maine Botanical Gardens has an exceptional display of gardening integrated with the natural surroundings and art pieces. For those who appreciate art and nature this spot is not to be missed. 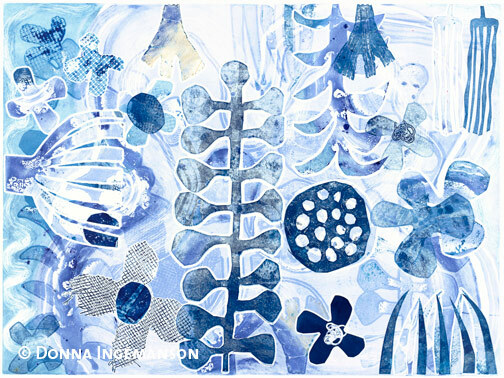 You are currently reading summer explorations… at donna ingemanson studio.